Scott Clements had a successful career to look forward to as a mortgage broker before he dove into the poker world. 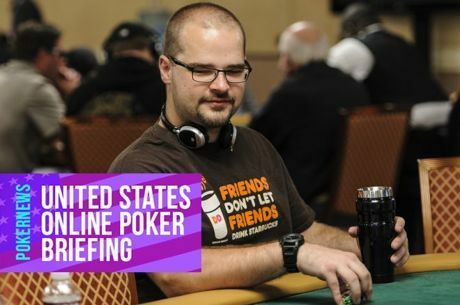 Scott began playing poker online, but being from the state of Washington, Clements was given a big blow when the state deemed internet poker illegal. Not wanting to give up on the game, he took to the live circuit. Shortly after making the jump, Scott began putting up results. In 2005, he took down a $1,000 event at Harrah’s Lake Tahoe for over $45,0000. He also eked into the money of the WSOP Main Event during the summer. In 2006, things really took of for Scott. He took to the WSOP and walked away with over $300,000 and his first bracelet. The event he won was the $3,000 Omaha High-Low event. 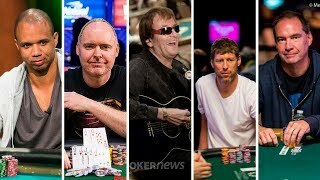 Top pros Thor Hansen and Phil Hellmuth were among the final table players that Scott bested that day. He continued to have success throughout the remainder of the year. Scott final tabled the WSOP Circuit event at Harrah’s lake Tahoe and finished eighth. He also won an event at the North American Poker Championships for nearly $225,000. In total, Scott raked in over half a million dollars this year. Things in 2007 got even better. To kick things off, Scott placed eighth at the PokerStars Caribbean Adventure for over $150,000. That was in January. In April, he came in second at the Five-Star World Poker Classic for over $160,000. A few more cashes happened leading up until the WSOP. At the 2007 WSOP, Scott cashed five times. He also made two final tables. That’s a pretty impressive World Series, but one of those events Scott won. The win at the $1,500 Pot-Limit Omaha event landed Clements his second bracelet and nearly $200,000. Halfway through the year Scott had already surpassed his total winning from the previous year. After the WSOP, he won an event at the Legends of Poker for nearly $100,000 and then it was time for Scott to shine at the North American Poker Championships again. In the Championship Event, Scott took first for over $1.5 million. The following year, Scott was successful once again. He won an event at the Five-Star World Poker Classic for over $200,000 and then went on to cash at the WSOP four times, making two final tables. He also ran deep in two events at the Festa al Lago Classic in Las Vegas. Scott is a Full Tilt Pro and can regularly be seen playing online at the site. He has over $3.3 million in career tournament earnings.